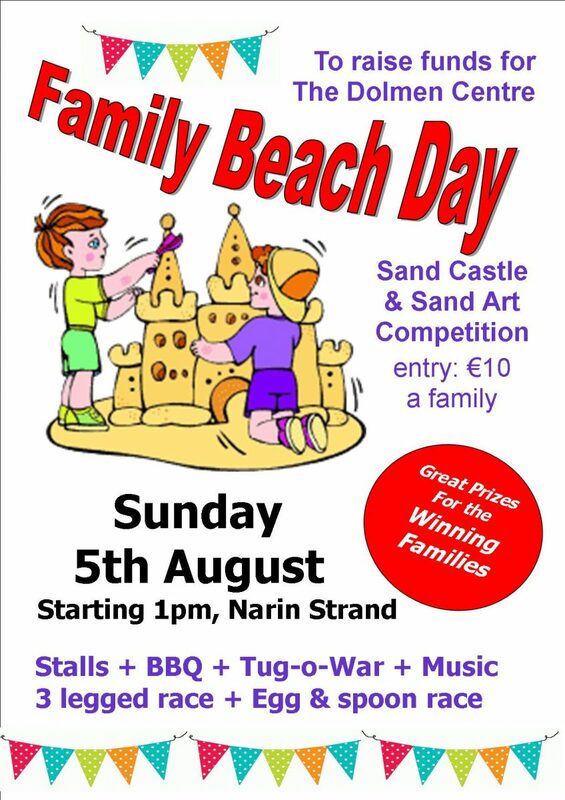 The Dolmen Centre are hosting a Family Fun Day on Narin Strand, on Sunday the 5th of August starting at 1pm. Lots of family activities to be had, including Egg & Spoon & 3 legged races, Tug of War, Stalls, BBQ’s, Music and much more. For the artistic among you, there will be a Sand Castle/Sand Art competition on the beach itself. Entry for this event is €10, and prizes to be had for various categories. Join us for what promises to be ‘A good day out’! All funds go towards the running of the Dolmen Centre.